First of all, this was a great, epic game. First of all, Kevin Durant is unbelievable. He’s unreal. He’s the beastliest beast in the league, and unlike LBJ and Kobe, he’s likeable and has a normal-sized head. Second of all, this was a great, epic game. This was real basketball, which unfortunately is few and far between in today’s NBA. The basketball gods are definitely smiling today. Third, Deron (career-high 42 points) was pure NINJA. We all know that he hates to lose, but you can’t say “he came out to win” every night. Today, you can. I can’t exactly explain it, but you could see it in his eyes. He had *that look* in his eyes; he came out with aggression, looking to dominate and get the win. Which is exactly what he did. The Jazz finally got off to a fast start. How long has it been since we’ve seen that? While they were scoring points, however, they never really got into a good flow in the first quarter. OKC, on the other hand, wasn’t scoring as many points, but everything looked ridiculously easy for them. Towards the end of the first, Ronnie P. checked in…with cornrows. I know not everyone agrees, but I dig the new look. And particularly so in contrast to the light of my life, AK, who has left “Dumb and Dumber” territory for “Yikes! Creepy” land. 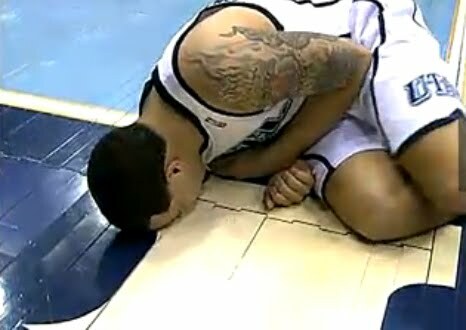 In 19 first-half minutes, Boozer was completely invisible. And by “completely,” I mean “completely.” Looking at the halftime box score, I could not recall him doing a single thing. Fortunately, neither team outplayed the other in the second quarter, and we went into halftime with the Thundah up 2, 65-63. 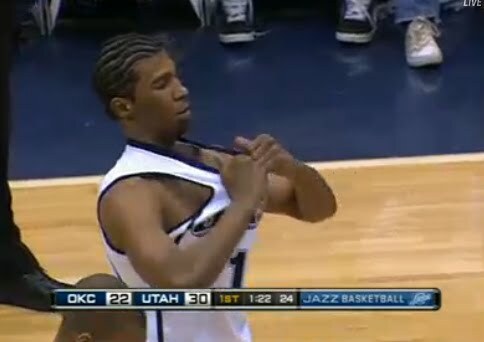 Jazz fans just about committed seppuku midway through the 4th when Deron crumpled to the floor in agony, but fortunately he’d only gotten the wind knocked out of him and played on following the timeout. The second half, and in particular the fourth quarter, was a nail-biting thing of beauty. Where do I even start? We had huge contributions and plays from all of our guys. Boozer and Millsap both brought it after halftime. Boozer had probably one of the biggest dunks of the season, while Millsap took the ball to the hoop and also had a huge block. 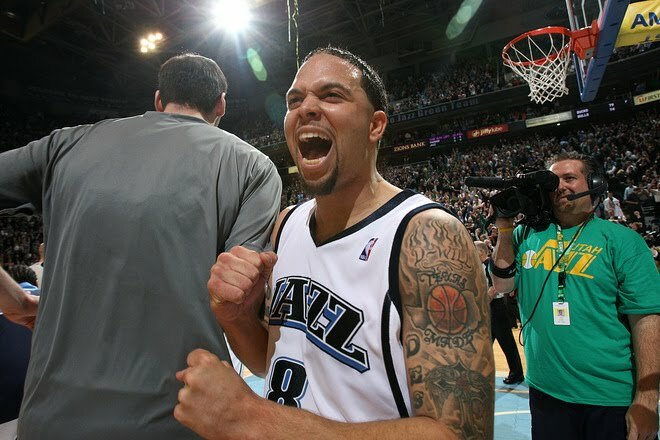 CJ had two and-1s and a huge trey, and OMSW, oh my sweet, sweet Wesley, showed the world the ice water in his veins when he calmly sank two clutch FTs with 17 ticks left in regulation to put the Jazz up 3. All this time, Deron is whirling around being all NINJA and Kevin Durant is flat-out aweing with his scoring and, well, everything he’s doing.